The weather has been such this weekend that I feel like I’ve fallen into the Hundred Acre Wood during that flood. It’s been a constant drenching rain this weekend and it just kills my spirit, along with any motivation to do anything. Of course, the rain also turned into snow today, which is a real bummer. I can’t take any more snow! I’m back from my trip now and I’m trying to get back into some sort of routine. Hopefully soon I’ll be sharing more recipes and crafts with you, but until then I’ll share some snapshots from the last few days. 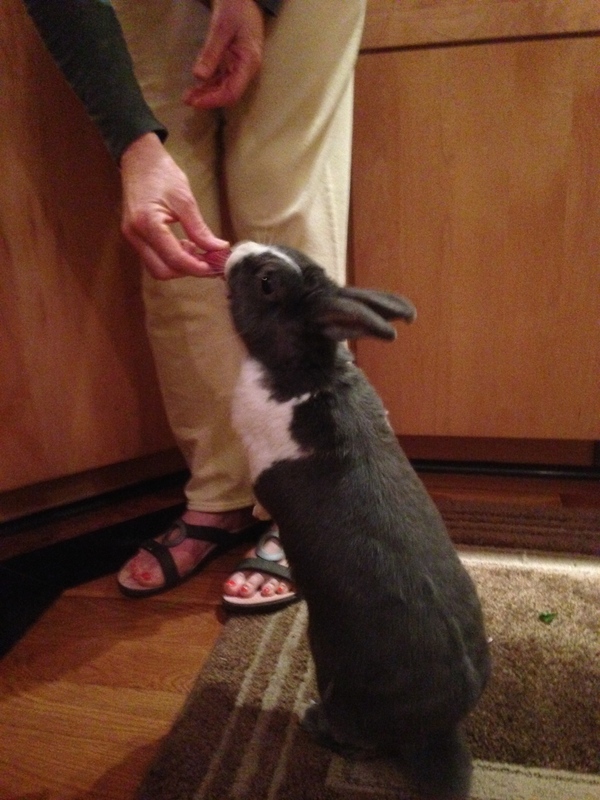 My sister has a bunny. I am obsessed with said bunny. She hangs out around the house in the evenings and the dogs know not to mess with her. She’s so fantastic! Every time I’m in my parents’ house I try and make her love me. So far, it’s sort of working. You may or may not know this, but my hair is extremely curly. So curly that I actually scoff when other girls claim that their hair is curly, when in fact, it’s just wavy. 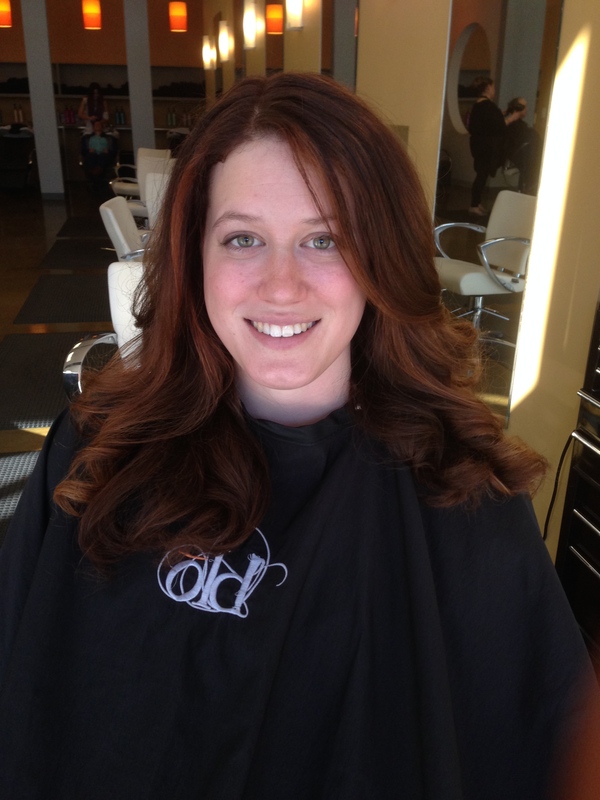 While I was in my hometown, my fabulous sister in law gave me a haircut, color, and blowout….and the result was phenomenal. I wish I looked like this every day. As soon as my hair gets wet, it goes straight back to curly. 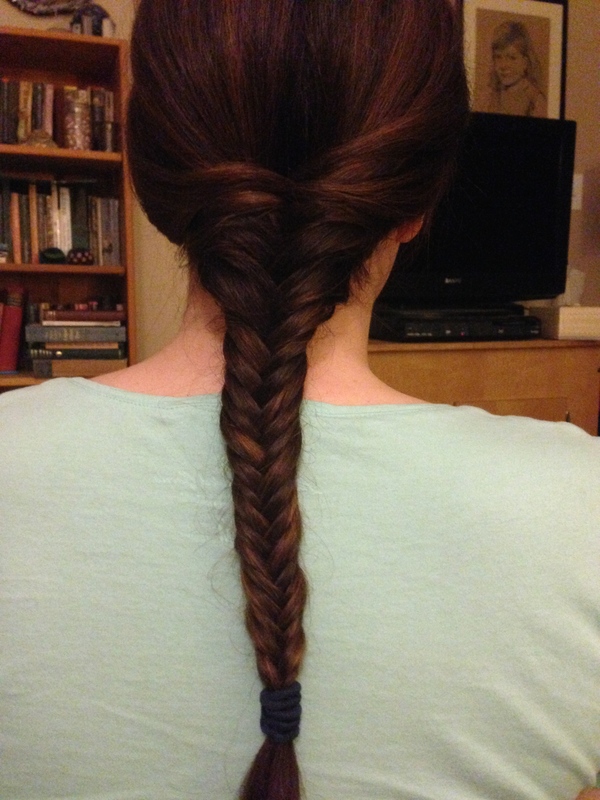 Before it had the opportunity, I asked my middle sister to please give me a fishtail braid. What with the curly hair, I’d never had one before! As great as it was to see my family (although not under fun circumstances – see last post) I was happy to finally get home after a long week and a half of being away. My super husband surprised me with a welcome home present :). New L.L. Bean slippers! We’ve both had ours for over a year, and we’ve both worn them so much that they have bald spots on the bottoms! It was so thoughtful of him to surprise me with a fresh and soft pair! This particular pair covers my whole foot, whereas my last pair left a part of my foot exposed. 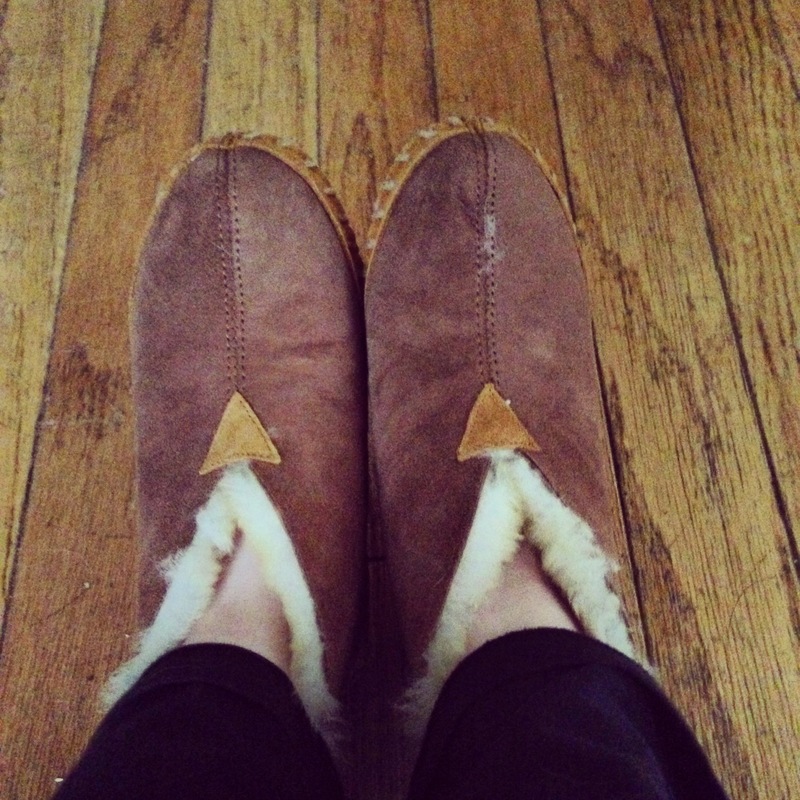 If you want to experience true foot bliss, you too need a pair of L.L. Bean slippers! *I’m not affiliated with L.L. Bean in any way, I just have an extreme love of their fantastic slippers. Tags: Bunnies, Curly Hair, L.L. Bean, Rain, Slippers, Straight Hair | Permalink.